Which New Zealand Travel Adapter? It’s part of every packing list for New Zealand: a travel adapter for New Zealand. Those cameras, phones and laptops are not going to charge themselves so to make sure you are able to charge and use your electrical devices from home you will need to pack at least one of these travel adapters for New Zealand. 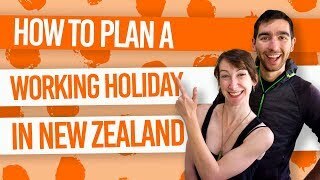 In this list, we have selected five different travel adapters for New Zealand with different needs and budgets in mind. Be aware that the New Zealand voltage output is 220/240 volts, which means that if you plan to use electrical devices with a lower voltage, you will need a converter too (or select the option below with a converter). 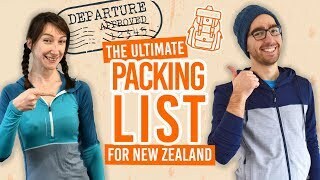 For more essentials to pack for New Zealand, see 15 Essentials to Pack for New Zealand, as well as our The Ultimate Packing List for an Extended Trip in New Zealand. 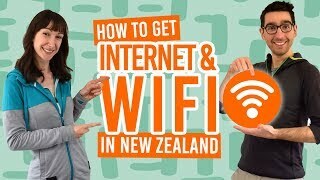 If you need a cheap New Zealand travel adapter that will charge devices like your phone, camera and laptop, for example, then you might like a simple New Zealand travel adapter. This travel adapter has duel ports, one which accepts all country connectors and the other accepting US and Europe connectors. With surge protection, it adds an extra safety feature for your devices. While this New Zealand travel adapter is ideal for charging most devices, note that it isn’t a voltage converter so check that devices like hairdryers and straighteners accept 220 or 240 volts (which is the voltage supplied in New Zealand). 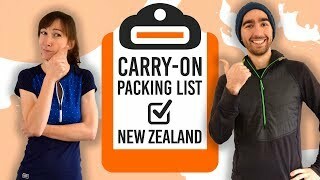 Besides, you will not need to bring your hairdryer to New Zealand along with these 10 Items You Should Definitely Not to Pack for New Zealand. Check this fantastically purple travel adapter out! So that you don’t have to Google “Travel adapters for…” ever again, why not get yourself a universal travel adapter? They are surprisingly affordable, especially considering that many of them cover 150 countries worldwide, like the EPICKA All In One Wall Charger pictured below. What we like about this one is that it has four USB charging slots which will charge all the essential devices, like phones, tablets and cameras. Plus, it has the added protection of internal spike and surge protection circuitry safeguards. Check the EPICKA All In One Wall Charger out! With the US having a voltage supply of 110V,60Hz compared to the supply of 220/240v,60Hz in New Zealand, this piece of kit is essential for protecting all your electrical devices. If you use a large number of devices, then it’s worth spending a little extra. This BESTEK Travel Adapter has UK/AU/US/EU plug adapters with inputs for US plugs and USB ports. Check the BESTEK Travel Adapter out! Super cheap, small and colourful, this pack of three OREI New Zealand travel adapters are for any backpacker wanting to start their trip off on the right foot – the budget way! Although these New Zealand adapters don’t convert voltage or have surge protection, just a bit of commonsense will see you through. The adapters are CE approved and RoHS Compliant. Plus, with their small size, you won’t have to fight for plug space in your hostel dorm room. (By the way, check out What is a Hostel? A Beginner’s Guide to Backpacker Hostels). Check these OREI New Zealand travel adapters out! This Kikkerland UL03-A Universal Travel Adapter takes “travel size” to a whole new level. The universal travel adapter is the smallest we have seen, while compatible with more than 150 countries. It’s affordable and will the do the job with most devices. Just note that, again, this is not a voltage converter. Check the Kikkerland UL03-A Universal Travel Adapter out!